Providing shoppers with an instant financing option is a great way to help increase sales, boost customer loyalty, and encourage repeat purchases. Considering that 93% of first-time usersof online customer financing say they would use it again, it’s no surprise that so many retailers are adopting this payment option. But it’s not just that financing helps to increase sales. Today there are several reasons why giving your customers the option to finance their purchase can be a win-win. Earlier in the year CNN Money published an article outlining how 6 in 10 Americans don’t have even $500 in savings. This may be a startling number for online retailers, considering shoppers can’t buy from you if they can’t afford it. But that’s not all, U.S. consumer credit scores have reached an all-time high. Combining this demand for budget flexibility with the fact that consumers are trending towards good credit scores – we get the perfect storm of financing. Shoppers want it, lenders want to provide it, and retailers can benefit from it. Win-win-win. Providing shoppers with an online financing option has been shown to increase AOV and repeat purchases for ecommerce retailers. One reason for this is because nearly two-thirds of past users of financing come back to buy at least one more purchase of $500 or more – and 33% come back 3-5 times. There are a number of reasons why providing shoppers with a financing option tends to increase sales and AOV. For one, you’re giving shoppers more flexibility. So, while a customer may not be willing to put a $500 purchase on their credit card, giving shoppers more flexibility allows them to choose which option works best them. Normally when we think about financing we think about expensive purchases, such as financing a car or some new furniture. But shoppers don’t have to spend a few thousand dollars before they open to paying with a financing option. We published a report, The Big Ticket: What’s Stopping Shoppers, which looks at what is preventing shoppers from making big ticket purchases online and how non-credit card payment options can improve the experience. 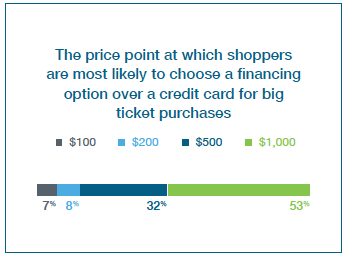 One of the more surprising takeaways from the study was the price point where shoppers are willing to switch away from credit cards in favor of financing. 7% of shoppers said they would switch to financing for purchases as little as $100, and 15% would switch for purchases of $200. 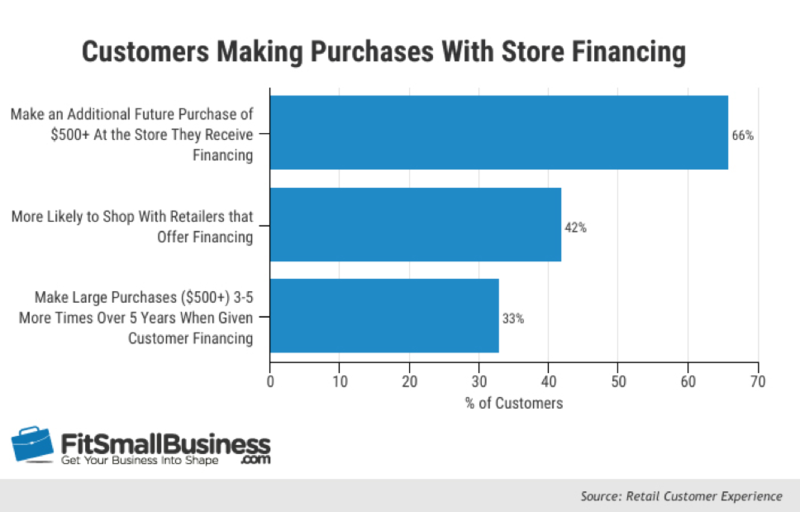 And for purchases of $500, 47% of shoppers are most likely to use financing over their credit card. So, while not everyone is going to finance every purchase, don’t assume your customers won’t benefit from (and appreciate) having it as an option even if you don’t sell expensive items. 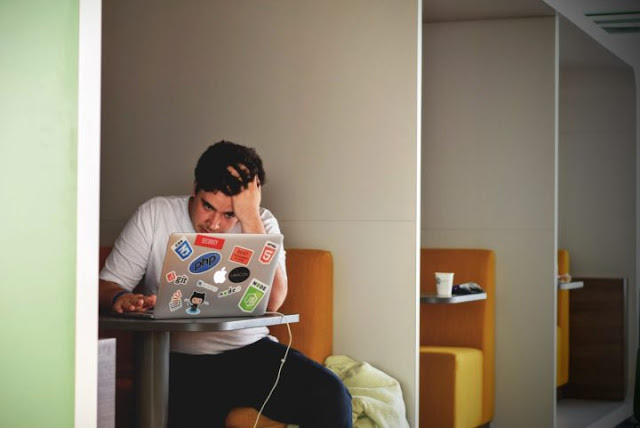 Retailers are hesitant to make time consuming changes to their site, which is fair enough considering that developer resources are expensive. But you may be surprised to hear that offering your shoppers a financing option is actually really easy, especially if you’re on one of the more popular ecommerce platforms. For instance, retailers using Shopify or WooCommerce can add FuturePay as a financing option in as little as 5 minutes. Shoppers today want more flexibility in how they pay than ever before. Online financing is a simple way for ecommerce retailers to increase sales and AOV while improving the customer experience.